Like something from the 2000 mockumentary "Best in Show," a drama undergoing the 2019 Westminster Kennel Club dog show. Just minutes before the start of the show at New York's Madison Square Garden on Tuesday night, commentators and Westminster officials say that one of the dog's best fighters for the show is no longer worthy to compete. shows (the show starts from 7:30 am to 11 pm). Bisher said that Colton and his handler will be asked to leave the ring before the best show in the competition will start at the end of Tuesday's show. The No 2 ranked non-boosting dog was not worthy to compete in his place, he said. While this type of development is not heard on shows dog, it is unprecedented for a show like Westminster, commentators said. In the First, Bisher and his fellow commentators did not offer much of an explanation despite the faint conviction that the dog was disqualified not because of anything to do with the actual dog, but because of a problem with Colton's ownership. 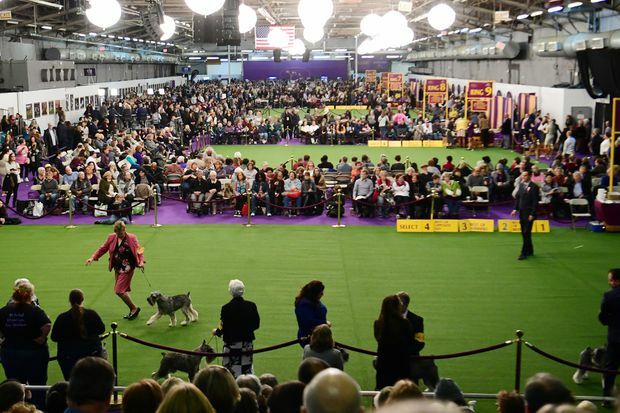 was the reason why the show started, commentators said the officials learned a conflict of interest between the exhibitors of the dog and the judges. The nature of this "conflict of ownership": a disqualification between the dog owners and the family of the judge the best in the show. Like many dogs to show, Colton has many owners. The 2019 Westminster best in judges show is Peter J. Green of Woodside, California. NJ Advance Media has reached representatives of the Westminster Kennel Club for comment. Have a tip? Amy Kuperinsky may be reached at akuperinsky@njadvancemedia.com . Follow him on Twitter @AmyKup or on Facebook . Get the latest updates in your inbox. Subscribe to NJ.com newsletters .